All across America, places for wildlife to live on public and private lands are being squeezed out, leaving many animal species with fewer places to call home. Add to this threats posed by global warming to wildlife habitat, and the problem seems almost insurmountable. National Wildlife Federation is working to protect the ecosystems that are most critical to native wildlife. Thanks to National Wildlife Federation and our partners, generations to come may still get the chance to see a grizzly bear or an elusive Florida panther, feel the tug of a wild salmon on the line, witness a whooping crane migration, or hear the howl of the gray wolf. NWF works to improve federal and state policies that will improve wildlife conservation on hundreds of millions of acres of public, tribal and private lands, including thousands of miles of streams, rivers, lakes and coastlines across America. 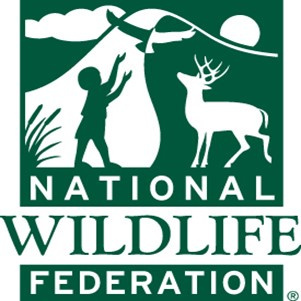 The organization encourages Congress to pass legislation that includes adequate funding for natural resources and directs federal agencies to include climate science in their wildlife conservation management plans. Dedicated staff, members, volunteers and affiliates of NWF are focused on protecting all of America's great waters from coastal Louisiana and the Great Lakes to biologically-rich wetlands across the country. All of these are vital to securing clean water for people, fish and wildlife as water supplies deteriorate in a warming world. In all, National Wildlife Federation’s work from coast to coast, community by community, helps protect, connect and restore habitat to ensure a healthy wildlife legacy for future generations. Diversity is a core value of the National Wildlife Federation. In pursuit of our mission to protect wildlife and wild places for the benefit of humanity, we champion the inclusion of diverse people, ideas, and communities to achieve the most resilient and sustainable solutions to challenges facing our environment and the people and wildlife dependent upon it.